In the wake of the Federal Court's bombshell decision to quash cabinet approval of the Trans Mountain expansion project, Alberta Premier Rachel Notley is pulling her province out of the national climate change plan. Citing inadequate consultations with Indigenous peoples, Justice Eleanor Dawson nullified licensing for the $7.4 billion project Thursday, halting construction only days after shovels hit the ground on the 1,150-km project. Notley said until construction restarts, Alberta will not be party to the pan-Canadian climate framework negotiated by Prime Minister Justin Trudeau and the provinces. While she will keep the province's existing carbon tax — implemented before Trudeau imposed a national price on carbon — it will not increase each year as prescribed by the federal plan. The court ruling was a major victory for some B.C. Indigenous peoples and environmentalists — who have long opposed twinning the pipeline — and a nightmare scenario for Alberta's oil patch, which was counting on a new line to tidewater to help fetch world prices for Canadian crude. "As important as climate action is to our province's future, I have also always said that taking the next step, in signing on to the federal climate plan, can't happen without the Trans Mountain pipeline," Notley told reporters Thursday. "So today I am announcing that with the Trans Mountain halted, and the work on it halted, until the federal government gets its act together; Alberta is pulling out of the federal climate plan," she added. "And let's be clear, without Alberta that plan isn't worth the paper it's written on." The premier said the ruling Thursday, which blocks construction indefinitely until the National Energy Board and the federal government complete court-ordered fixes, is bad for working families and a threat to the economic security of Canada. "The current state of affairs in Canada is such that building a pipeline to tidewater is practically impossible," Notley said. Prime Minister Justin Trudeau said earlier on Twitter that he had spoken with Notley and assured her that his government would continue to back the project. Today I spoke with Premier <a href="https://twitter.com/RachelNotley?ref_src=twsrc%5Etfw">@RachelNotley</a> - and reassured her that the federal government stands by the TMX expansion project and will ensure it moves forward in the right way. In its decision, the court found the National Energy Board's assessment of the project was so flawed that it should not have been relied on by the federal cabinet when it gave final approval to proceed in November 2016. In its initial study of the project, the NEB found that the pipeline would not cause significant adverse environmental impacts. At issue for the court, however, was the board's silence on the impact the pipeline could have on the marine environment around the Burnaby, B.C. shipping terminal situated at the end of the expanded line. The court said the NEB did not adequately address what impact a substantial increase in tanker traffic could have on the southern resident killer whale population in those waters — the whales are endangered — or the potential impact of a diluted bitumen spill from shipping vessels. Thus, the NEB must re-do its environmental assessment to address these concerns before construction can resume. If built, the pipeline will carry an estimated 890,000 barrels a day — triple the line's existing capacity — and increase traffic off B.C. 's coast from approximately five tankers to 34 tankers a month. Most of the additional capacity would be destined for points abroad. Amid regulatory uncertainty, Kinder Morgan agreed to sell the existing pipeline and the expansion project to the federal government for $4.5 billion this spring. Only minutes after the court issued its decision, the company's shareholders in Calgary overwhelmingly approved the sale. The vote had been previously scheduled. Finance Minister Bill Morneau said Thursday the federal government is carefully reviewing the decision but is determined to proceed with the project, that, he said, is in the best national interest and "critically important" for the economy. "We are absolutely committed to moving ahead with this project," he said at a news conference in Toronto. "What the decision today asked us to do is to respond promptly; gave us some direction on how we can do that in a way that is going to be efficient from a time standpoint. So we will be considering our next steps in light of that." Morneau said the Liberal government inherited a "flawed process" for reviewing the project. He described the pipeline purchase as a good investment that will yield strong returns in years ahead, and that the deal to buy it will be finalized as early as Friday. The appellate court also found that the federal government did not adequately, or meaningfully, consult with Indigenous people and hear out their concerns after the NEB issued its report recommending that cabinet approve the project. The court has ordered the federal government to redo its Phase 3 consultation — the court said the constitutional obligation to consult was not "adequately discharged in this case" — adding because Indigenous concerns with the project are "specific and focused" the process could be completed in relatively short order. The court did not specify a timeline. "Only after that consultation is completed and any accommodation made can the project be put before the Governor in Council (cabinet) for approval," the decision reads. "The end result may be a short delay, but, through possible accommodation the corrected consultation may further the objective of reconciliation with Indigenous peoples." Khelsilem, councillor and spokesperson for Squamish Nation in B.C., a plaintiff in this case, said many are feeling "elation and happiness and joy" with today's ruling. "This government played politics with our livelihood," he said. "They did not behave honourably and the courts agreed every step of the way." Khelsilem said the consultation with First Nations was more like note-taking than meaningful consideration. 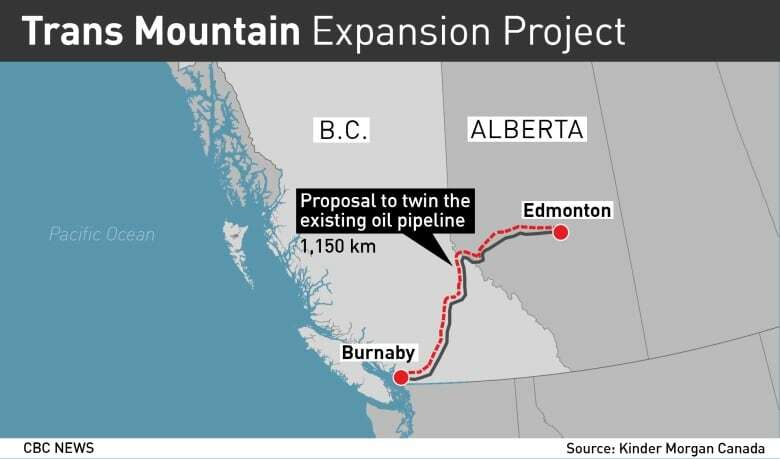 Other First Nations, however, expressed hope that the project would proceed, including the Whispering Pines First Nation near Kamloops, B.C., part of a contingent that supports the pipeline going ahead under Indigenous control and is trying to buy it. Conservative Leader Andrew Scheer called today's ruling "devastating" news for Canadian workers and taxpayers and a "complete indictment" of the Trudeau government's efforts to get the project off the ground. "Today's development is further eroding the confidence in this Liberal government's ability to get big projects built," he said. "They either kill or cancel the projects based on ideology, or they mismanage and bungle them to the point where they're in a very precarious position." NDP Leader Jagmeet Singh said the ruling shows the Liberals have failed to live up to their obligation to respectfully consult with Indigenous people. He said the government should stop construction and explore legal options to stop the sale of the project. B.C. Premier John Horgan said on Twitter that the ruling was a victory for First Nations rights and his province's economy and environment. "Many British Columbians have been saying that the Trans Mountain project would create serious risks to our coast. Today the Federal Court of Appeal has validated those concerns," Horgan said. Just three days ago, the Trans Mountain Twitter account posted pictures of workers beginning construction of the pipeline expansion. "Pipeline construction for the #TransMountain Expansion Project has officially begun! We celebrated the big milestone over the weekend, as crews kicked off construction in Central #Alberta," the tweet read. In a statement, Kinder Morgan confirmed construction will now stop. 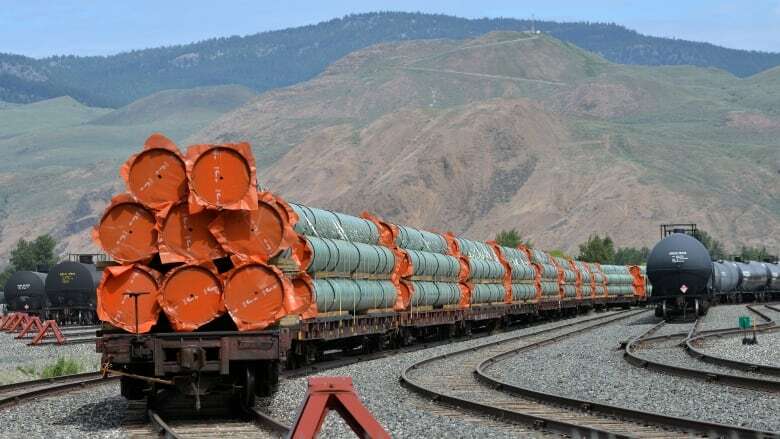 "Trans Mountain is currently taking measures to suspend construction related activities on the Project in a safe and orderly manner," the statement reads.